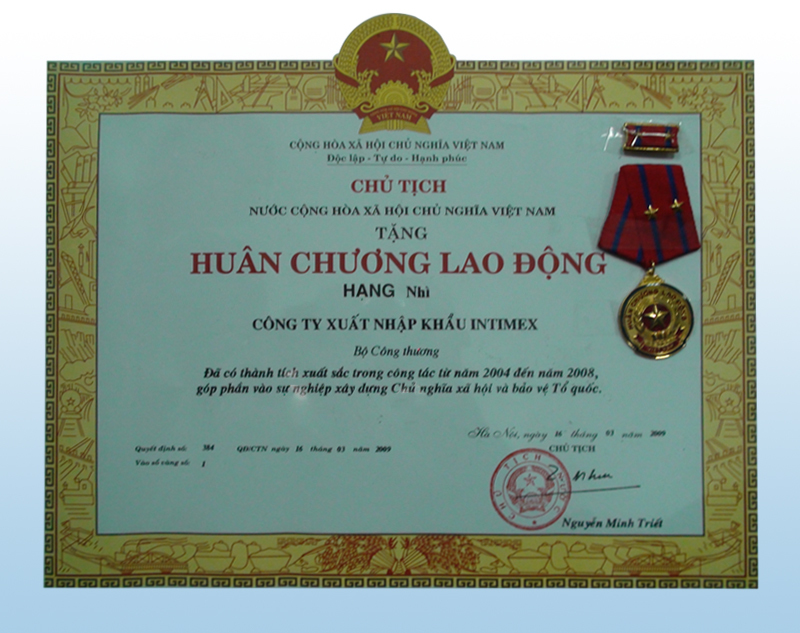 VietNam Intimex Joint Stock Corporation Nghe An Branch - is directly under VietNam Intimex Joint Stock Corporation – a part of Vietnam Ministry of Industry and Trade. The center was established in April, 2002 and specialized in importing and exporting, tapioca & aquaculture producing & supermarket trading, office, warehouse leasing…After 5year building and developing, the center has been continuously growing from a small business to an effective processing one. It has been innovating comprehensive with veriety business fields such as: Thanh Chuong Tapioca Factory, Nghe An Intimex Trading Center, Nghe An Intimex Supermarket, Hung Dong Agricultural Product Factory & Warehouse, Dien Kim Aquaculture Area. Specially, Thanh Chuong Tapioca Factory has achieved a high output with 240 ton per day equals 1,2 billion VND per day. Nghe An Intimex Trading Center and Nghe An Intimex Supermarket are located on the same building with a wide area - more than 3000m2 and three floors that near by Ho Chi Minh Square. There are more than 25.000 kinds of goods that is attractive not only local but also all people from everywhere to visit. Address: 32 Le Nin Street - Vinh City - Nghe An Province.
. There are more than 25.000 kinds of goods that is attractive not only local but also all people from everywhere to visit.
. There are more than 25.000 kinds of goods that is attractive not only local but also all people from everywhere to visit. . There are more than 25.000 kinds of goods that is attractive not only local but also all people from everywhere to visit. . There are more than 25.000 kinds of goods that is attractive not only local but also all people from everywhere to visit.
. There are more than 25.000 kinds of goods that is attractive not only local but also all people from everywhere to visit. . There are more than 25.000 kinds of goods that is attractive not only local but also all people from everywhere to visit.